Our team of experienced and highly qualified technicians can take on any drain issue. We offer a wide variety of drain services and technology to effectively identify the problems and provide efficient solutions to solve even the most difficult home or commercial drain issues. 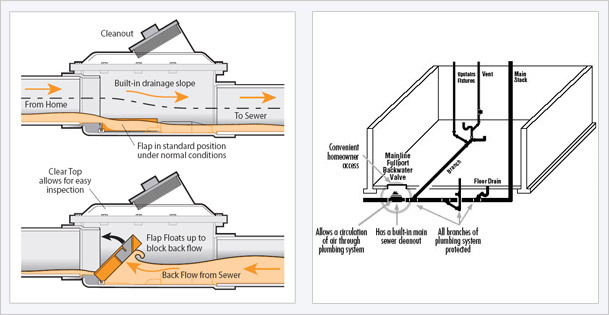 Install a backwater valve on your main drain to prevent sewer backups during heavy rainfall. City of Toronto provides Flood Prevention Rebates for customers to help offset costs of installing devices such as backwater valves. Our licensed plumbers are available for all types of drain jobs – big and small. Call us today or fill out the form below, and we will provide you with a quote for your drain service needs.